We offer to complete common way cleaning service on a monthly, fortnightly, weekly or even daily basis. Work hours are flexible to suite site requirements. We provide regular common way cleaning for residential blocks, housing associations, retirement complexes, private blocks etc. We try to use the same cleaners each visit so the residents get to know them and our cleaners know the building. Our priority is to ensure that regular times are kept and the cleaners will be the same week in, week out. We understand that for some businesses and offices it is important that the cleaning is completed outside of work hours; therefore we can be flexible in the times that we work. 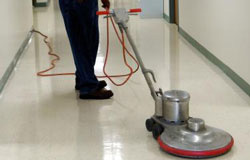 We provide a regular and reliable cleaning service to maintain communal areas for residential and commercial premises. Operators / Cleaners are uniformed for instant recognition.